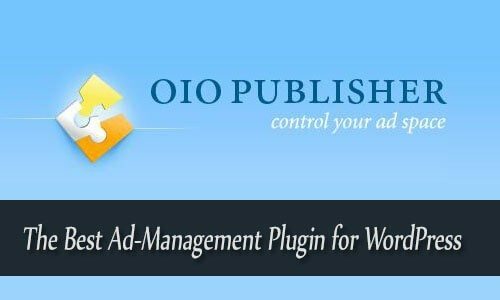 OIO Publisher is one of the most sold WordPress ad management plugins which can also be used on non-WordPress sites using it's PHP version. OIOPublisher Coupon is here to redeem. So don't delay and order your copy below by using OIOPublisher Coupon Code for $10 OFF. For many people controlling the ad space on the WordPress is quite a hectic job. Indeed it is, only if you don’t know the latest ad space plugins, like OIOPublisher. It gives users a freedom of placing the ad anywhere he or she likes in the website. It also gives us the opportunity to sell these ads, pick the ads according to the size we want. This plugin system allows you to select the payment options such as PayPal and 2checkout. Indeed, OIOPublisher is the best ad management plugin at the recent time. There are many impressive features to inject the ad nicely into your website. OIO Publisher offers you many set zones, with the each zone you can choose several ads with the different shapes and sizes and place them on the website. OIO Publisher ad management plugin offers you a great subscription system, and you can provide the buyers the several months of advertising. The administration panel of the OIO Publisher is incredibly easy to use and user-friendly.It offers you to sell through the CPM, CPC, or fixed price system. There is good news for the eBook seller; many people are already using this plugin for this propose. With the OIO Publisher, you can generate the sales page quickly with all the details. Indeed, it has revolutionized the ad management system. The buyers themselves can choose the spot where they want to put their advertisement. This feature makes the entire operation easier for the user. After filling up all the information, they require to submit it to you for the approval. After approval, you don’t need to handle the further operation; the OIO Publisher will manage the ads for the period you have selected. OIO Publisher keeps you and your advertiser informed by emails out the complete statistics of the particular ad. The OIO Publisher will automatically check all the payment matters no matter your sponsors have selected the month to month payment option or any other. This plugin will inform you and remove the ad automatically upon the subscription cancellation of any ad. For further information, see the image below. The terms like Pay-per-post, affiliate programs, and the digital downloads are getting popular; therefore, it is beneficial to select the plugin which doesn’t only manage ads but also offers the environment to manage with these terms. With the OIOPublisher you feel the power of management and drive well the ads on your site. It is one of the easy to use the plugin, but if will not help you in finding the advertising, it is a complete ad management package. Indeed, it is the only drawback of the OIOPublisher. There are other services like BuySellAds which does not only provides the ad management platform but also help you to drive thousands of advertisers to your site. The biggest advantage of the OIO Publisher is its ad management, in which the user keeps 100% of the profits by selling the ad space.